great compact portable 4 channel lighting dimmer. 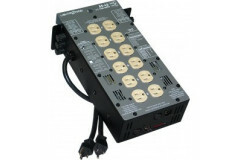 has a maximum capacity of 1200 watts per channel and max load capacity of 4800 watts. has 2 input power cord stubs to connect 2 different 120 vac power phases. 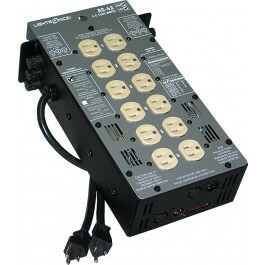 uses the usitt dmx-512 protocol or an industry standard three wire multiplex protocol.